The Big Bunny took its maiden voyage on February 17, 1970. 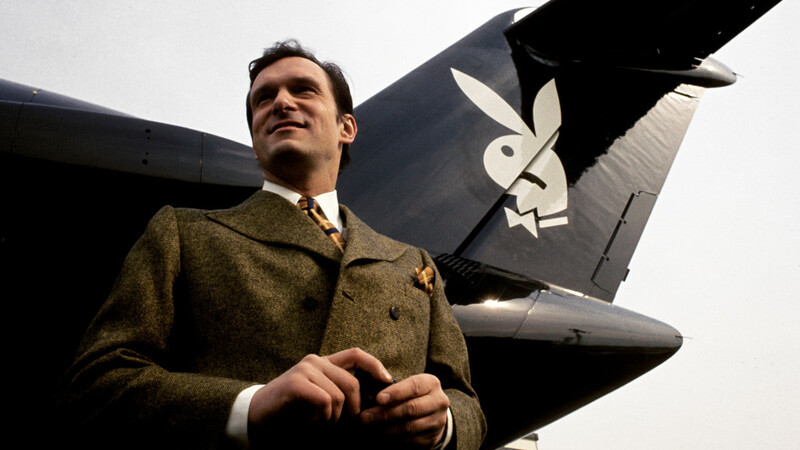 Its original intent was to shuttle Hef between the Chicago Mansion and his new Shangri-La in southern California. Ultimately, though, the McDonnell Douglas DC-9 carried him all over the world—from Greece to Tanzania to nearly every stop in-between. The Big Bunny measured 119.3 feet in length and possessed a wingspan of 93.4 feet. It could hold up to 38 passengers, typically Hef’s best friends (Shel Silverstein et al) and a collection of Playmates, Jet Bunnies and significant others. Jet Bunnies eschewed rabbit ears and tails for black knee-high boots and white aviator scarves. Per Hef: “They looked as though they had just stepped out of a James Bond movie.” The Jet Bunnies were fully accredited, too, training at Continental Airlines’ stewardess school in L.A. There were two main women of the flight cabin—Barbi Benton and Karen Christy, Hef’s two girlfriends at the time. They never, though, flew together, as Hef effectively kept the two relationships separate, using the Big Bunny as the go-between since Barbi lived in Los Angeles and Karen lived in Chicago. Epic board-game play was also a staple among Big Bunny passengers—a preferred way of passing time during long transatlantic flights. The in-flight meal—how does lobster and roast beef sound? Liquor options included Jack Daniels Black Label, Old Bushmills and Tanqueray. Hef had his private quarters on the Big Bunny outfitted with an elliptical bed that could be accessed through his own gangway. It came complete with silk and Tasmanian opossum-fur covers. The Big Bunny was grounded in July 1975 when it was sold to Venezuela Airlines. It later served as a commercial airliner for Aeroméxico. The plane was retired from service in 2004.